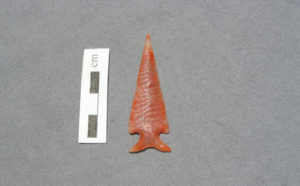 The first eight pictures are projectile points that have been knapped with the flake over grinding technique. The rest of the points have not been ground. All the points shown here have been heat-treated. 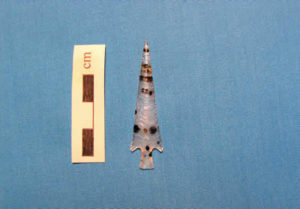 Elko Eared: Made of heat-treated Somerville Chert from Utah. This is the type of point I use for hunting Deer and Elk. 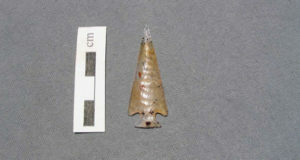 Elko Eared: Made of heat-treated Somerville Chert from Utah. 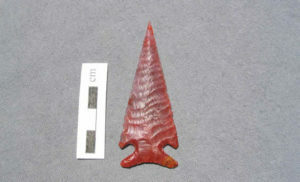 Made of heat-treated Somerville Chert from Utah. Elko Eared: Made of petrified wood from Oregon. 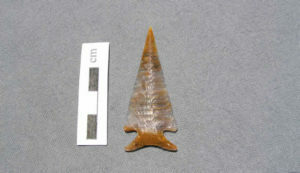 Rose Gate Point: Made from Montana Agate. 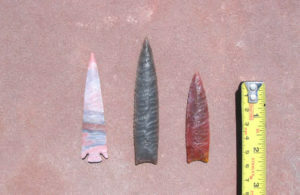 These points are made of non heat-treated Jasperized dinosaur bone from SE Utah. This quality of dinosaur bone for knapping is extremely rare. Lance Blades: I made these blades in the early nineties. They are made of Obsidian and Green Imperial Jasper. 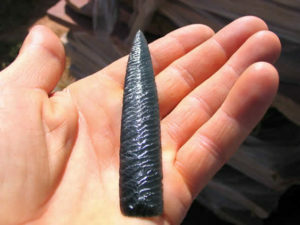 Close up of Obsidian Lance Blade. 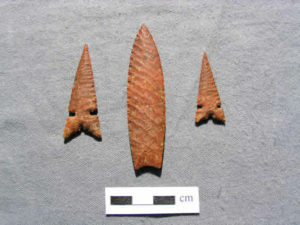 Miscellaneous points: Made of heat-treated High Ridge Illinois, Texas, and Utah cherts. 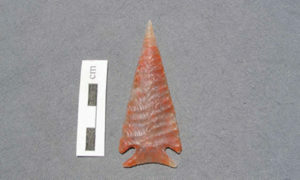 Abajo Stemmed Arrow Point: Made of heat-treated Montana Agate. 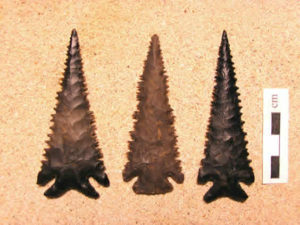 Elko Series Serrated dart Points: Made of heat-treated Wyoming Oil Chert.